I watched his funeral on TV, and I became interested to learn more about my faith. That was Blessed John Paul II’s first miracle for me. The next one was the election of Pope Benedict XVI. And on Sunday Pope John Paul II will finally be declared a saint, along with Pope John XXIII. The miracles and his other virtues aside, one remarkable aspect of Pope John Paul II was his love for the Sacrament of Penance or Confession. He was known to go to Confession once a week. Also, if we were so edified by Pope Francis’ unexpected Confession last March, imagine how such a saint as JP2 must have also walked his talk. I remember an anecdote about how Pope John Paul II invited a group of priests to dinner. One of the priests brought along a man he had met only a few days ago; the man was actually a priest who had gone astray many years ago and was now in the streets of Rome begging for alms. Long story short, the priest-turn-beggar-turned-lucky-man-to-have-dinner-with-the-pope was pulled aside by the Supreme Pontiff. 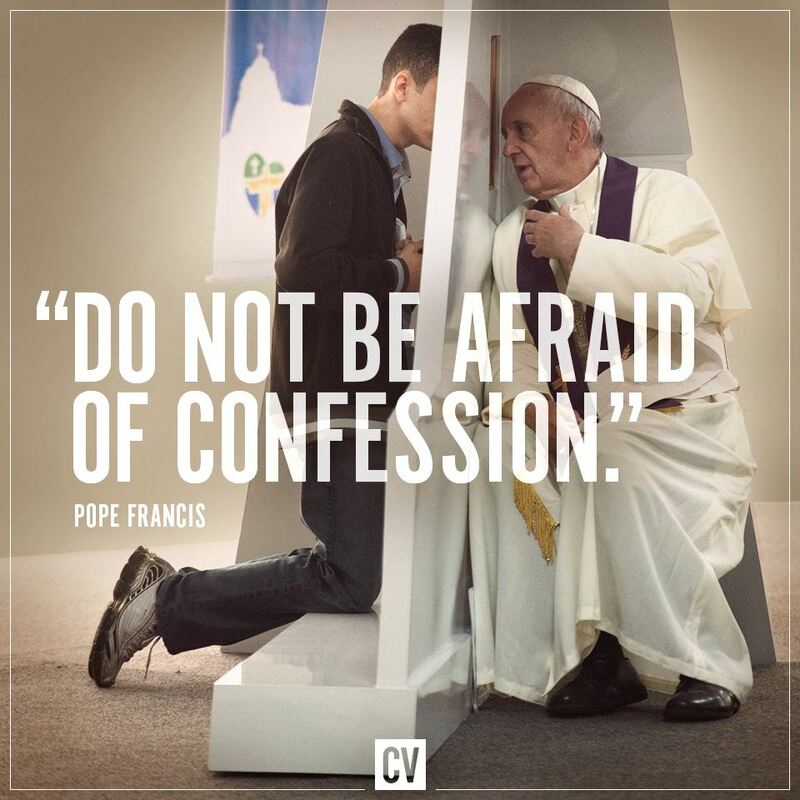 Pope John Paul II confessed to him! The priest was at first hesitant since he had long ago been deprived of the “faculty” to hear confession, but the Pope said he was the Bishop of Rome and he could restore that faculty! Later on — though I’m not 100% sure — the priest himself was restored to his diocese. I still get goosebumps when I hear this story.